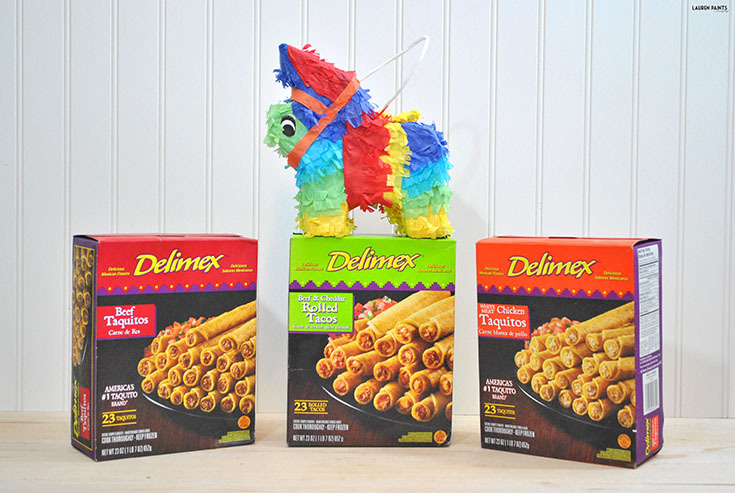 I'm always up for a party and since Cinco de Mayo is a day of celebration, you better believe we will be celebrating in our home. Sadly, Cinco de Mayo falls right smack dab in the middle of finals week. But since we never turn down a good time, we will still celebrate in style - we just have to keep our festivities short and sweet this year! 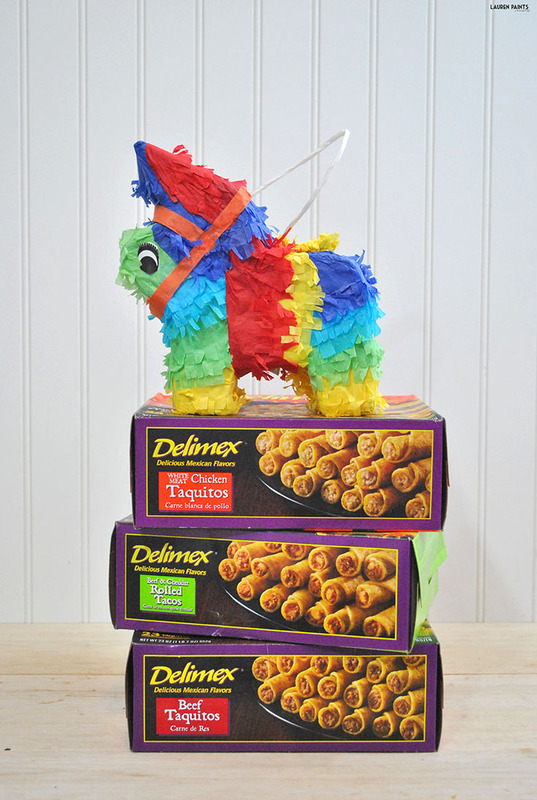 By short and sweet, I mean our festivities will still include tasty little Mexican candy, a pinata, some amazing Mexican food, delicious drinks, and maybe even some confetti; everything a Cinco de Mayo get together needs, just scaled down with some studying involved as well. Not exactly a party, but a good time for sure! 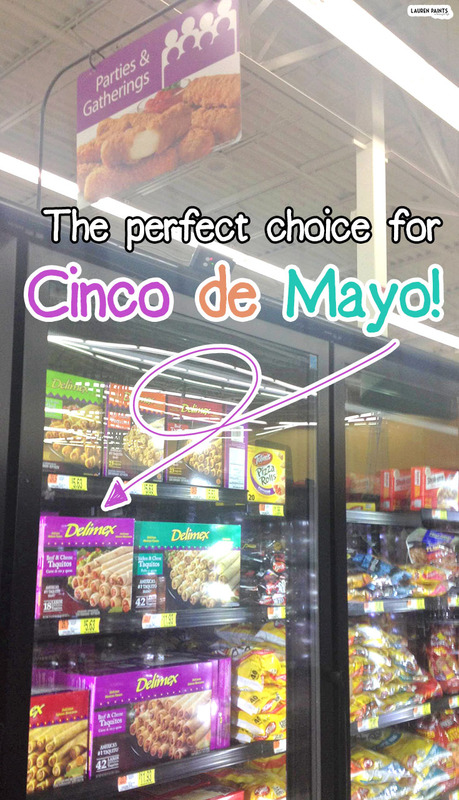 After finding a whole freezer full of Delimex deliciousness at Walmart, I knew the perfect way to treat us to some delicious mexican food on-the-fly. With tacos, tamales, and taquitos galore to choose from we finally narrowed down our selection to the beef taquitos, chicken taquitos, and the cheddar and beef rolled tacos! 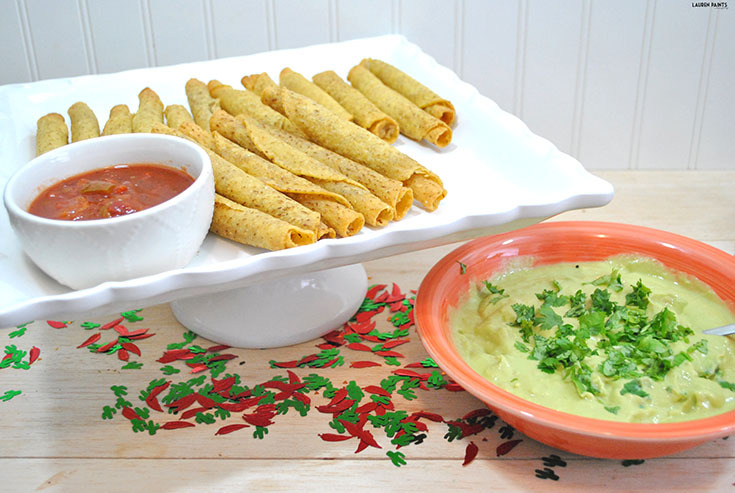 These taquitos and tacos paired with a guacamole cream sauce that has just the right amount of kick to it, can you imagine a more perfect meal for Cinco de Mayo? 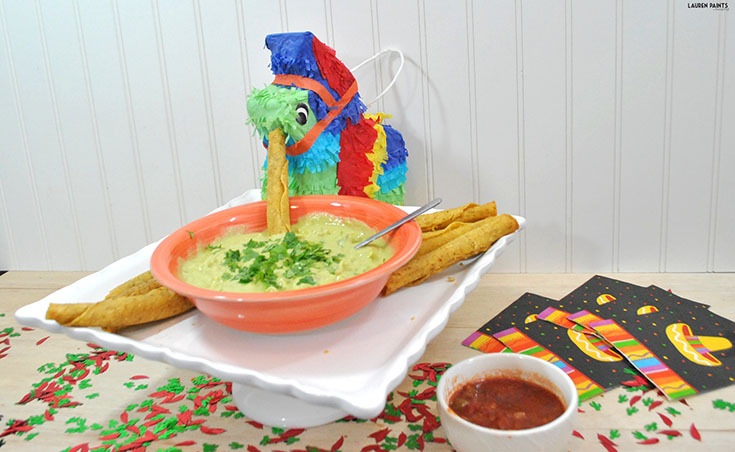 Since the taquitos and tacos are ready in just minutes and the dip practically makes itself, I can prepare this cute and festive appetizer quickly and serve it up during study time! Who wants to be my study buddy for my statistics final, any takers? 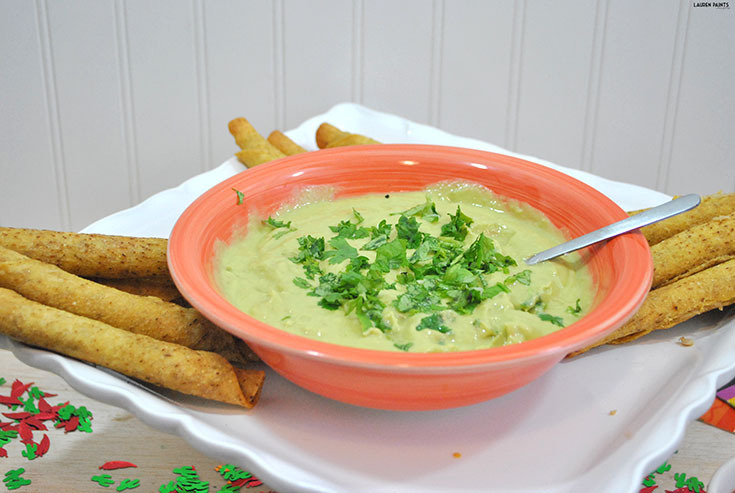 While you may not want to study statistics with me, I bet you'll want to give this Guacamole Cream Sauce a try. 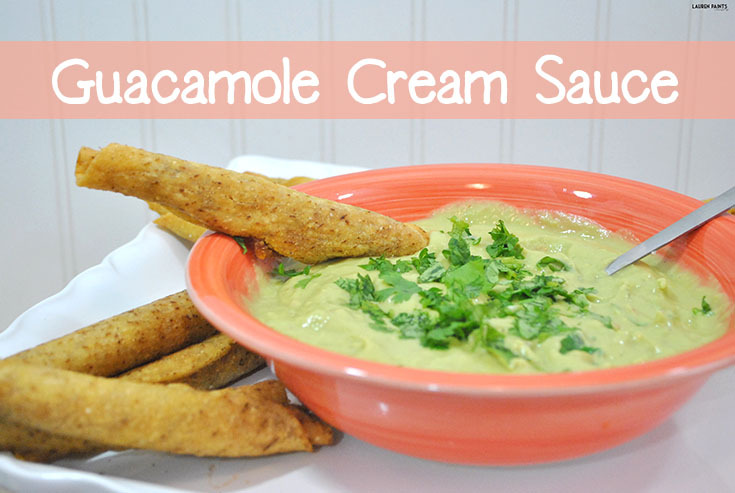 It's the perfect blend of avocado, creaminess, and a kick of spice - I'm sure you and your family will be craving it all the time after you give it a try! Want to make this delicious cream sauce for your family? The recipe is so simple! Rinse and dice all veggies. 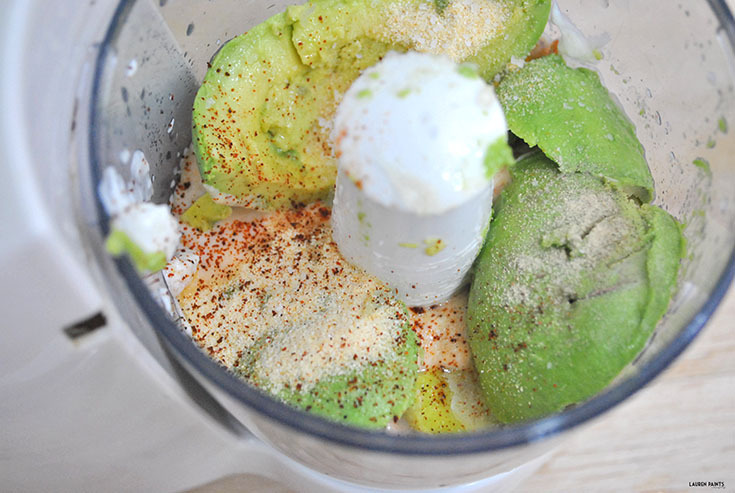 Combine all ingredients in a food processor and blend until smooth and creamy! Top with a bit of cilantro and you're all set! 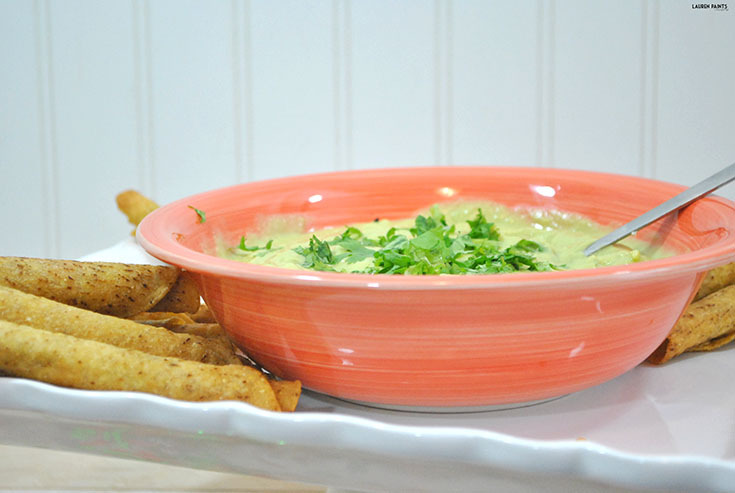 Our Delimex choices didn't disappoint during our initial taste test and dipped in my homemade guacamole cream sauce, these little babies will make the perfect treat on Cinco de Mayo and maybe even be what's on the menu for dinner tonight as well! Taco Tuesday, anyone? I suggest you check out all of these delicious recipes, I'd love to know which one you plan on fixing up first?